Before we start, let me say this. I have known Robert Hastings for nearly twenty years and I have always been impressed with his integrity and his intellect. I knew Chester Lytle for a long time. He was a man of impressive credentials who had no reason to embellish his position and suggest UFO knowledge if he had none. In other words, talking about flying saucers wouldn’t have done him much good and certainly could have hurt him. Now both of these men come together in Hastings’ UFOs and Nukes: Extraordinary Encounters at Nuclear Weapons Sites. Hastings had the opportunity to interview Lytle on a number of occasions and Lytle shared an interesting story about the Roswell UFO crash. I will note that Hastings had shared this information with me prior to the publication of his book, so I have known about it for some time, but he asked that I say nothing until his book was available. According to Hastings, he was interviewing Lytle about his involvement with atomic energy and what he might know about UFO sightings near nuclear plants or facilities. 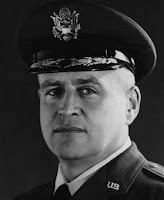 Hastings said that with no prompting from him, Lytle moved on to the Roswell crash and told Hastings that William Blanchard (seen here), who had command of the 509th Bomb Group in Roswell at the time of the crash confirmed the alien nature of the event. Lytle told Hastings that in February 1953, with Blanchard now a general officer, they were in Alaska while Lytle’s wife was in Chicago about to give birth. Lytle was desperate to get home and Blanchard said that they could take an Air Force aircraft to Illinois, land at one of the bases close to Chicago and Lytle could get home from there. While on the flight, somehow the subject of UFOs came up, maybe because of a couple of sightings at Elmendorf Air Force Base near Anchorage sometime earlier. Blanchard then told Lytle that an alien craft had crashed near Roswell. According to Hastings, Blanchard told Lytle that four bodies had been recovered. Surprised by this, Hastings asked Lytle, "Blanchard actually told you that the Roswell object was an alien spacecraft." In break with the traditional story, Blanchard said that some of the bodies had gone originally to Muroc Army Air Field (now Edwards Air Force Base), but that they all wound up at Wright Field. Now, granted, this is second-hand testimony about what Blanchard said, but there is no reason for Lytle to invent it, and it is quite clear that Lytle held many clearances and had been trusted with the secrets of the Manhattan Project. He was a credible man who would not have made up the story. Of course, it fails on one point and that is that we can’t verify it with either Lytle or Blanchard. Both men are dead. The documentation that exists is quite limited and subject to various interpretations. At this point, this is an anecdote that provides a bit of insight into the crash... and it is the first time that Blanchard, through Lytle, put gave us a number of bodies. Blanchard, according to Lytle, said, "Four." So what do we do? Add this to the list of stories about the UFO crash at Roswell and continue the search. Look for some additional corroboration but note that we had some reliable information that puts Blanchard in the center of this, just where he would have been as the commanding officer at the Roswell Army Air Field in July 1947. For those interested in more of what Robert Hastings has reported, you can only order UFOs and Nukes: Extraordinary Encounters at Nuclear Weapons Sites at ufohastings.com. As some of you know, I had been scheduled to debate the merits of the Roswell UFO crash case with one of the most vocal opponents. The debate, arranged by Rob McConnell of X-Zone Radio (see his website www.xzone-radio.com) was to take place on Thursday, August 28, but about two hours before the start, my adversary bailed with a lame excuse about terrorism. Unilaterally, he postponed the debate to December 7. Neither Rob McConnell nor I agreed to this change and it will not happen. I make note of this here in case some of you may wonder why there was no debate (and others probably couldn't care less). He failed to appear, video taping some ridiculous excuse, in daylight hours, which means he planned to jump long before he notified McConnell. This is just another in the many strange tales that have come from him. I will also note that he has a habit of bullying people, making claims that are soon disproved, and then attempts to hide the evidence of his failures. He changes the information to suit his purposes, has no ethical standards, and threatens those who disagree with him with lawsuits and worse. I plan no further dealings with the man until he issues the apologies required for this bad behavior and several dozen other outrageous claims and mistakes he has made. For those who care to learn more about him, see kalisanidiot.blogspot.com. Though I thought we would revisit the Mac Magruder story after the first of the year, I have new information. Magruder is the late Marine officer who lead a night fighter squadron during the Second World War and achieved some status in the Roswell UFO crash when his sons said he had told them of the crash long before Roswell was a household name. Magruder, at the time of the crash was assigned, according to them, to the Air War College at Maxwell Field and that students had been taken to Wright Field to view the wreckage, the bodies, and to provide insight into a possible release of information. A few weeks ago I telephoned, emailed, and questioned various offices at Maxwell Field to learn when the class would have been in session, when the students would have arrived, and if they had made a trip to Wright Field during their studies. I was told then that the records I needed would not be available until a major renovation of the registrar and history areas was completed. However, Dr. James A. Mowbray said that he believed that the class was in session in July 1947 and he remembered that they had taken a trip to Wright Field. Good news for the supporters of the Magruder tale. Now, however, I have later and better information. Another researcher, Aurimas Svitojus wrote for Magruder’s records from NPRC in St. Louis and received a reply that is interesting. On July 20, he was "...Detached to: AIR COMMAND AND STAFF SCHOOL, AIR UNIVERSITY, MAXWELL FIELD, ALABAMA." The records show that he had an authorized delay in enroute from July 21 to 14 August and that from August 15 to August 26 he was to travel to Maxwell. What this means, simply, is that he was authorized a leave of about three weeks and that he was then given 11 days to travel from his old station to Maxwell. The records suggest he reported in on August 27. He was assigned to the school beginning on August 1 and was released from that assignment on June 6, 1948. This means that he was not at Maxwell in July so that a trip at the end of the month with his class did not happen. The school, according to the information began in early September. Although assigned there on August 1, the documents show he didn’t arrived until very late in the month. There is no inconsistency here. This simply means that the morning reports from his Marine Squadron dropped him, and those at Maxwell would have picked him up. Both would have shown him on an authorized delay and this is more for accounting purposes than anything else. The final bit we can pull from the records is that Magruder did go to Wright Field, but not until April of 1948. This was part of the training for the school. Students were often detailed to other, working bases to see those commands in operation. What we can find out from Maxwell, once their renovations are complete are the dates that Magruder arrived (or verification of the date we now have), the dates that classes began, and finally, the dates of the trips they might have taken during the class sessions. All that information will be helpful in determining what happened and when. I also asked for a complete roster of students in the hopes that we might be able to find some corroboration. This, I believe is a long shot given the timing. The students would be senior officers, probably in their late thirties. Since the school ended sixty years ago, any survivors would be in his 90s. Not impossible but so far, of those I have identified as students, all are now dead. My reading of the records, however, suggests to me that Magruder was on leave in July and all the Air War College really knew about him was that he was a high-ranking Marine officer who had been assigned to the school. They would have known when to expect him, and I would be surprised to learn that he had no communication with the school prior to his arrival. There are mundane things like housing that needed to be arranged before classes begin. But I see nothing to suggest that he would have been brought into the Roswell investigation at that point. The Army was trying to contain the information, not share it with those who had no need to know, and this is certainly a case where the officer in question had no need to know. Why even think about this? The suggestion has been made that they had a captive audience of trustworthy men and they brought them in to gauge the public reaction. But couldn’t they do much the same thing by setting it up as a class assignment, what we now call a "tabletop" exercise, and gauge the reaction that way? They could even reference the 1938 War of the Worlds broadcast for "real world" information. No need to compromise the secret here. I know on this one I’m swimming against the current, but everything we’ve been able to learn to this point suggests that Magruder was not involved they way it has been alleged. That doesn’t mean that he wasn’t involved in some fashion, but a trip to Wright Field to view the craft and bodies just doesn’t make the grade. In the mid-1980s, Time magazine reported that a Soviet intelligence agent, who had been carefully trained, who had been provided with a good "legend" had been set down in Wisconsin. The agent rented an apartment, got a job, and settled in to routine. His mission was to establish himself as a loyal American. He was to remain in deep cover until a situation arose that would necessitate his activation. While walking down a road, about a week after his arrival in the United States, the Soviet agent was arrested by the FBI. The arrest was a stunning upset for the Soviets who had little respect for American intelligence operations. The arrest was the result of one of the most incredible intelligence operations of the Cold War. The arrest demonstrated that American intelligence had penetrated the Soviet Union to the highest levels and provided invaluable information to the American leadership. That penetration was evidenced as early as 1956. The Central Intelligence Agency (CIA) had begun a policy to "create and exploit troublesome problems" for the Soviet Union. Nikita Khrushchev, speaking at the Twentieth Party Congress "laid bare many of the corruptions and rigidities of Stalinism in an effort to discredit competitors in the Politburo." It was Khrushchev’s idea to eliminate his competition for the top job by exposing the excesses that had been hidden during the Stalin regime. Khrushchev planned to consolidate his power around a denunciation of Stalin. The speech was an explosive document that was only meant to be heard inside the highest levels of the communist party power structure. It was not meant to be heard by those under the communist government and certainly not meant to be heard by anyone in the United States. This speech, which discussed Stalin’s personal interventions in the affairs of Soviet satellites such as Hungary and Yugoslavia, resulted in a split that drove Yugoslavia toward alignment with the United States. From that perspective, it was a speech that shouldn’t have been made because of the far reaching political consequences outside the Soviet Union. Inside the communist power structure, it was a shrewd political move. John Prados, in The Presidents’ Secret Wars, suggested that the speech was "political dynamite." He also suggested that a copy of the "secret speech reached the CIA from a contact with a European communist." The source of the speech was a tightly held secret that, in 1986, when Prados wrote his book had not been revealed. The real source of that speech was an American with the American Communist Party by the name of Jack Childs. Childs knew the value of the speech and what it would mean to the view of communism held throughout the world. Childs knew because he, along with his brother, Morris, had been communists in the 1920s and the 1930s. They had both drifted away from the American Communist Party after they witnessed the discrepancy between what the communists said and what they did. Neither Jack nor Morris could understand how communist leaders could preach for the peasant and then participate in the purges that killed millions. Neither of the men could understand how the party leaders could live so well while so many of their fellow party members were starving. Although Jack had given the FBI the text of Khrushchev’s 1956 speech that had done so much damage to the communist image, it was Morris Childs who provided the majority of the intelligence about Soviet internal policies. According to John Barron, Morris was the friend and confidant of Khrushchev, Leonid Brezhnev, Yuri Andropov, as well as leaders in China, North Vietnam, Cuba and Eastern Europe. According to John Barron, "Many of the most famous figures of international communism personally knew Morris Childs and addressed him as Morris. To them, his credentials... were impeccable." Childs was an American to be courted, to be trusted, and to be allowed to witness the workings of the communists throughout the world. From there he had a view that was better than that held be almost anyone else either communist or capitalist. The information provided by Morris Childs was invaluable to American policy makers. On October 14, 1962, U-2 flights over Cuba took a series of photographs that were developed and submitted for analysis the next day. Late in the evening the photo interpretation specialists called the Pentagon to relay information that "ballistic missiles had shown up" in Cuba. Given the proximity of Cuba to the United States, the President (Kennedy) believed that such missiles could not be allowed to remain in Cuba. They were a threat to the safety of the entire free world. On October 16, the President ordered more flights over Cuba and he ordered all "armed forces put on ‘alert 4,’ one step nearer a war footing." The President, by increasing the readiness of the American armed forces, was sending a message to the Soviets. He was telling the Soviet leadership that he considered the missiles in Cuba to be an important issue. By increasing the alert status, he was making a move that had no real world ramifications, other than moving the military to a higher level or readiness. American forces could be sent into combat faster than at a lower alert level. On October 18, President Kennedy met with the Soviet Foreign Minister Andrei Gromyko. Khrushchev, through Gromyko, told the President that the Soviet assistance to Cuba was "by no means offensive." Of course, given the photographs of the ballistic missiles, Kennedy knew that wasn’t true. Ballistic missiles are an offensive weapon. Two days later, on October 20, with additional evidence of missile sites in Cuba, Kennedy ordered a naval blockade. He delayed the implementation until American allies could be alerted. The blockade, according to some politicians was almost the same as declaring war. However, the Soviet Union did not challenge the blockade and no shots were fired. The situation was never pushed, by either side, to a point where they would have been no choice but to open fire. Once that threshold had been crossed, it would have been difficult to keep the situation from escalating into, at the very least, a naval war. The Cuban missile crisis created a situation in which the power of the Soviet Union had been challenged. According to some politicians, if Khrushchev was pushed far enough, he would fight. The situation, as it developed in Cuba showed that such was not the case. Khrushchev was given an ultimatum which demanded the removal the missiles. He had but two choices. Remove them or face the very real threat of war. The situation would seem to be extremely dangerous. President Kennedy was giving Khrushchev no real choice. The world, it seemed, was on the brink of war and then Khrushchev backed down. The Soviet dictator, who, in the United Nations had told the world he would bury the United States, ordered the withdrawal of the ballistic missiles. Kennedy drew a line in the sand and threatened a war. The situation in October 1962 was extremely grim and dangerous. The question that can now be asked is if Kennedy was taking that big of a risk. Did he push Khrushchev because he knew what the Soviet response would be to the ultimatum? The answer, based on information supplied by Operation Solo and Morris Childs, is, "Yes. Kennedy knew what the Soviet response would be." Childs had learned that the Soviet leadership were frightened by the prospect of nuclear war. They realized the devastation that would result and they knew that hundreds of millions, if not billions, of people would be killed. The Soviet leadership, while not overly concerned with the deaths of so many, did not want to be bombed back into an agrarian society. They had expended great national wealth in an attempt to enter the industrial age and compete with the free world. Nuclear war would turn that all around and the Soviet position of leadership would be lost. Kennedy knew this because of the work that had been accomplished by Childs. He knew, as he pushed Khrushchev, that Khrushchev would have no choice but to back down. While the rest of the world waited for the Soviet reaction to the American ultimatum, Kennedy knew what the eventual response would be. Giving Kennedy the edge during the missile crisis was not the only important outcome of Operation Solo. Childs, in meetings with Soviet leaders, as well as with those in China, learned how wide the split between the Soviet Union and China was. American intelligence analysts believed that the rift between the two communist giants was not as wide as had been suggested publically. In 1962, as the reports of a rift began to circulate, the analysts, cautioned against optimism. Roger Hilsman wrote in U.S. News and World Report, "So long as both partners [the Soviet Union and China] see the United States as the greatest obstacle to the attainment [of world revolution], they will try to patch over their differences and unite against the common enemy." Hilsman, like so many others believed that the communists would stick together simply because they were all communists. Their goal was to rule the world. Hilsman didn’t see the difference between Chinese communist and Soviet communist. Morris Childs, however, listening to what the Soviets said in Moscow and what the Chinese said in Beijing, found that they were at odds with one another. When Khrushchev had renounced the policies of Stalin, the Chinese believed that it showed a Soviet move toward the west. Teng Hsiao-Ping, who lead the Chinese delegation during a negotiation in Moscow in July 1963, claimed that the Soviets were more interested in "better relations with the United States and India than with China." It was evidence for the rift, but it could also be interpreted as a negotiation tactic. The Chinese were attempting to position themselves in the most favorable place possible. Childs believed, based on his discussions, that the Sino-Soviet split could not "be reconciled." Childs believed that there were fundamental differences in the Chinese and Soviet world view. These ideological differences were too great to overcome simply because both governments held a communist philosophy. Childs predicted that the rift would grow as the Chinese evolved their own theories of communism. The Soviet Union simply could not agree with the Chinese. Childs intelligence value didn’t end there. He supplied consistent and important information until he finally retired in the 1980s. In 1987 he received the Presidential Medal of Freedom for his contributions to the security of the United States over several decades. Now, having waded through all this, you might be wondering what relevance it has to UFOs. Well, this is a secret that was held by very few people for decades. Presidents were unaware of the operation. Other FBI agents, including those working in the same office building didn’t know about the operation. It was a closely held secret because if the Soviets ever learned about it, the conduit of information would be closed and more importantly, Morris would be killed. The only exception to this secrecy, until the end of the mission, was President Ford. He had just taken over from Richard Nixon and was about to meet with the Soviets. He was nervous, even though he had been briefed on what to expect. To calm him, he was told about the source of the incredible information about the Soviets and their motives. What this proves is that there are secrets that can be held for decades. They can be concealed from the president. They can be concealed from nearly everyone, if the stakes are high enough. So, when we say that governments can’t keep secrets, we have proof that they can. When we say that everything leaks, we can say that it doesn’t. There are people entrusted with secrets who can keep them, and keep them for years and years. The story of Childs was reported by John Barron in his 1996 book, Operation Solo: The FBI’s Man in the Kremlin. It is a fascinating book and relevant because it turns some of our notions upside down. I have discovered more evidence about the credibility of the secrecy around Project Mogul. This was the constant level balloon project blamed for the Roswell debris. It was a series of experiments, most of them in New Mexico, using a cluster of balloons and rawin radar targets, designed to keep balloons at a constant, high level in the atmosphere in an attempt to "listen" for Soviet atomic explosions. When I say I discovered, it was really Robert Hastings, writing in his new book UFOS and Nukes: Extraordinary Encounters at Nuclear Weapons Sites. I have just applied an interesting paragraph from that book to what we know about Mogul and the secrecy around it. Remember, the Mogul experiments began in New Mexico in early June and ended in September 1947. Stories about the balloon flights appeared in many newspapers beginning on July 10, just days after the officers at Roswell announced they had "captured" a flying saucer. Hastings wrote, "In September 1947, Army Chief of Staff General Dwight D. Eisenhower directed the Army Air Corps to undertake the Constant Phoenix program, an on-going series of long-distance flights designed to detect atomic explosions ‘anywhere in the world.’ This high-priority activity was continued by the newly-created U.S. Air Force and, on September 3, 1949, radiation sensors abroad a USAF B-29 flying between Alaska and Japan confirmed the detonation of the first Soviet atomic bomb - some five years earlier than expected." In other words, Mogul, to monitor Soviet atomic development was scrapped because a better method was found. Aircraft could maintain a constant level and could remain on station for hours at a time. A drifting balloon array moved with the vagaries of the winds and the sun (sun light could heat the balloon envelopes causing them to rise during the day). An aircraft could stay in virtually one place and when it needed to return for fuel or crew rest could be replaced in the same place by another aircraft. At this point, Mogul was of no use. The secrecy requirement was gone. The original purpose, to spy on the Soviets wouldn’t be mentioned but the project no longer had the importance it once had. And, of course, with the deployment of spy planes and later satellites, the spying took on a much more sophisticated aspect than hanging some microphones on a balloon to drift over the Soviet Union. With the collapse of the Soviet Union, and with everyone knowing that there are dozens of spy satellit es up there photographing everything down here, there was no need to keep the Mogul secret, so the Air Force trotted it out to explain the Roswell crash debris. Mogul was a high priority project, they say. It was top secret, they say. But in the end, it was just a bunch of balloons tied together, sometimes with microphones attached and sometimes not. Nothing unusual to fool ranchers, Army officers, sheriffs or anyone else who might have found the remains of Mogul. The skeptics often accuse those of us who are convinced that something alien fell at Roswell and that some UFOs represent alien visitation of being shoddy in our investigations and have a will to believe nearly everything. But that sword cuts both ways and we can document time and again where skeptics have made pronouncements that fit their belief structures without bothering to corroborate their negative information. Take, for example, the claim made on a skeptical web site that the tale of Mac Magruder, the late Marine colonel who, while at the Air War College, traveled to Wright Field to see the wreckage of an alien craft and the bodies of the crew is untrue. They reject the story, because, according to this site, there was no Air War College classes in session in July 1947 when this was to have taken place. The class didn’t begin until September 1947, so the Magruder tale can be rejected. Tony Bragalia and I have been chasing this. We both know that you sometimes can’t rely on the information provided by others unless you check it out yourself. Too often the both skeptics and believers run with the first thing they have and don’t worry about consequences. We have, for the last few weeks, been trying to learn what we can from the various Internet sources available and then from a number of people at the Air War College. First were the official biographies of some of the men who were in what was the second year-long class at the Air War College. This is the class that Magruder attended and there really seems to be no controversy about that. He was in that second class. The official biographies Brigadier General Ethelred Lundy Sykes, Brigadier General John E. Frizen and Major General Dale O. Smith only tell us a little about the starting dates. Skyes, according to the biography, "Entering the Air War College at Maxwell Field, Ala., in July 1947, he graduated the following year." According to the biography of Frizen, "From August 1947 to July 1948, he was a student at the Air Command and Staff School, Air University, Maxwell Air Force Base, Ala."
Smith, according to his biography, "From the summer of 1947 to the summer of 1948, Smith attended the Air War College as a student." Both Tony and I have talked to people at the Air War College including the registrar. We learned that the documents we needed, which were handwritten cards, the yearbooks, and other records, were currently boxed up because the office was undergoing a major renovation. This suggested that the claim the class didn’t start until September 1947 might be hearsay without the necessary corroboration. Tony talked to the base historian and I talked to woman in the history office. They both said that they really didn’t know for certain because the records were unavailable at the moment, but those records would provide the information we sought. The woman I talked to told me in an email that the dates I had for the 1947 – 1948 class were correct, but since I had made queries about a couple of dates, her response wasn’t all that helpful. Eventually we got to Dr. James A. Mowbray who had helped research and write the 1947 – 2007 AWC Alumni Review book. He is considered the resident expert on the subject. Tony read to him a passage from Witness to Roswell by Tom Carey and Don Schmitt that said, "The Air War College had just commenced in mid-to-late July when they were all flown up to Wright Field in Dayton, Ohio." Mowbray found the sentence to be historically accurate and consistent. Mowbray was "one hundred percent certain there were classes in session in July 1947…" But he also said that the handwritten cards, currently in storage would confirm this. He said that he had analyzed them "many times" for his research on the AWC. He did confirm an AWC class trip to Wright Field, though he couldn’t be certain that it was in July 1947. These were trips to learn about base operations and management systems and that many of the students [though I would suspect all] held high security clearances. From my experience, I know that some schools, before a student is accepted, require top secret clearances and the Air War College would certainly be one of them. On the downside. Tony told Mowbray about the Roswell crash and Mowbray said, "It didn’t happen. This Magruder couldn’t have seen anything, because there was nothing to see." He also said that few if any of the AWC students would have had any substantial "black project exposure." He said that he couldn’t think of any situation like Roswell that would involve students. These were, of course, his opinions, based on his belief that the Roswell crash didn’t happen and if it didn’t happen, then Magruder couldn’t have seen anything. All we wanted to do was confirm the dates because the skeptics and debunkers had rejected the Magruder testimony based on that piece of information. Had the class not started until September, then the story could be rejected. That was not the case. What we know now is that Magruder was in the second class. We know that classes were held in the summer and according to Mowbray, were a year long then, rather than the ten months of today. We can’t nail down, at this point, the exact date that Magruder might have arrived, nor can we nail down the exact start date. We can say that the dates given and the trips taken do not rule it out at this point. Mowbray also made comments about the elderly, suggesting that they often confused dates, events, locations and memories and thought that Magruder was mistaken because of his age. But many elderly are as sharp as they ever were and do not confuse the events of their lives. We cannot reject the story simply because Magruder was old when he related the majority of the details. Yes, we need to follow up on this when we can at the beginning of next year. Then we should be able to establish when Magruder arrived and when his class made the trip to Wright Field. At that point, with the documentation in hand, we’ll know if we can reject the story, or if we should attempt further confirmation. Unfortunately for us, learning that Magruder was there in July 1947 and that the class traveled to Wright Field in 1947 doesn’t prove that they saw the remains of an alien ship and the dead crew. It only proves that they could have. But, at the very least, we’re attempting to get at the facts, rather than rely on the shoddy investigations of the skeptics and the debunkers. I would hope that before they start slinging loaded terms and mistaken conclusions, they would be sure of their facts. The other day I received an email from a woman who had wanted to see the article from the Las Vegas Sun from April 19, 1962 which was headlined, "Brilliant Red Explosion Flares in Las Vegas Sky." She also wanted to see the article that accompanied it. She wrote to the newspaper and was told they couldn’t help her because their archives had burned on November 22, 1963. I found the excuse just a little far-fetched and wondered if they had blown her off they way they had me so long ago. I was chasing the same story, but I happened to be in Las Vegas and while the newspaper wouldn’t help, the local library and its microfilm could. I found the article and the accompanying story. But this reminded me of the conversation I had with one of the reporters at the newspaper. One of the people mentioned in the article was Frank Maggio, described as a staff photographer. And, of course, was Jim Stalnaker who was the reporter on the story. The reporter I spoke to was friendly, right up to the moment I mentioned UFOs. Then she turned hostile, lecturing me about the subject, claiming that she had never seen one and that proof of their visitation didn’t exist. To her, I was chasing ghosts. I told her that the initial information had come from her newspaper and she said, "It’s all heresay. You can’t believe anything you read in the newspaper." Let’s stop for a moment and look at that. A reporter for the newspaper just told me that you couldn’t believe anything you read in the newspaper. I thought that was a strange attitude for a reporter and if I had a subscription I would have cancelled it right then, citing as the reason that one of their reporters had told me I couldn’t believe anything printed in their newspaper. But, since I knew that one of the witnesses, Frank Maggio worked for the newspaper, I asked about him. "They’re all dead," she told me. This, I believe could be called the classical "dead end..." if I wanted to make light of it. But since she was hostile, and lying to me, I hung up and then looked in the Las Vegas telephone book. I found no listing for Frank Maggio, but did find one for a Maggio Photo Lab. Thinking it had to be the same guy, I called. It was. He couldn’t remember anything about the sighting that wasn’t in the newspaper story. He had said that it was a "tremendous flaming sword." There was a series of bright explosions that broke up the trail across the sky and that it had vanished east of Las Vegas. Over the next few weeks, I talked to twenty or thirty people who had seen something that night, read the Project Blue Book files on it, and although there had been a rumor that nothing about this event was printed in the newspapers, I found many articles about it. The object, whatever it was, had been seen as it crossed the United States from east to west, was tracked by radar, and seemed to make a looping turn over Reno so that it was heading to the south and then east when it appeared in the Las Vegas sky. Those watching it lost sight of it out near Mesquite, which is on the Nevada - Utah border. The story is quite complex and I have done a long write up about it in A History of UFO Crashes, for those who wish more information. But the point here is that sometimes those with the information just don’t want to be bothered with supplying it. That’s why I have put the entire newspaper article here, for those who might want to see it and can’t to Las Vegas to look it up for themselves.